Innovel Pneumatic Chemical Injection Pumps operate using air or natural gas as the driver to inject chemicals into a system. The IT-5100 is similar to a Textsteam* 5100, with improvements to the design and function. 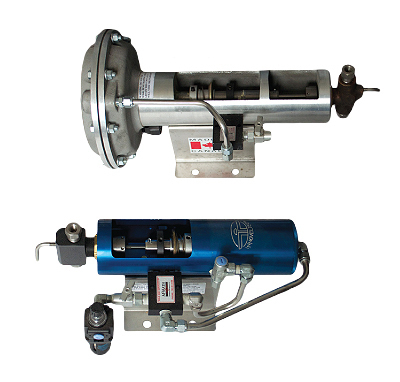 The REP-301/ 401 is a piston driver pump, which reduces the amount of gas required to drive the unit. The diaphragm is what the air or natural gas acts on to operate the pump plunger, the units we use are industry standard. *Texsteam is a registered trademark of Texsteam Inc. is not affiliated with McMath Controls & Automation Inc. in any manner. Texsteam Inc has not reviewed, sanctioned or endorsed any products manufactured, reconditioned or sold by McMath Controls & Automation Inc.